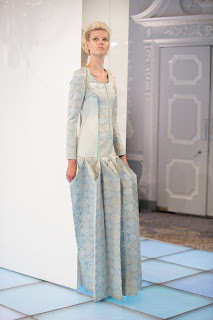 When Scottish designer Louise Gray declared her Autumn/Winter 2012 collection as being about “everything, all the time” she perfectly skewered the fashion world’s current fondness for displaying their cultural influences on their sleeves. Gone are the days of simple, single-note Military or Nautical collections in favour of a time travelling grab bag of elements and inspirations. Fashion has become high-brow, and sometimes you need a sound knowledge of art history, literature and politics to review a collection, as well as the ability to spot a puckered seam at fifty paces. 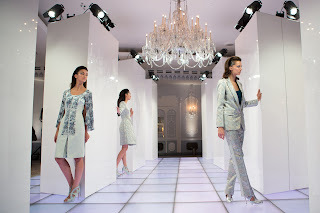 And so I find myself in the ornate Orchid Suite of London’s Dorchester hotel, watching Catherine Teatum and Rob Jones’ insouciant society girls swish around a light-up dance floor in retro-futuristic frocks to pounding Teutonic disco. Teatum Jones are a bit special. Intensely conceptual, and technically adroit, they never allow the concept to overpower a collection. So when I tell you that the influences for their Spring/Summer 2013 offering, titled ‘From Democracy with Love’, range from Jackie Kennedy, the paranoia of the Cold War, George Orwell, circuit boards and the art of Jenny Saville and John Chamberlain, you might have an idea of the complexity of the designers’ creative vision. The actuality is above and beyond the usual expectations of heavy-handed “conceptual” fashion. 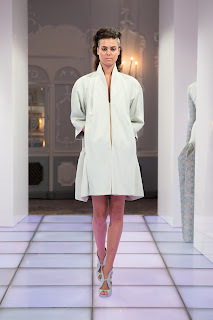 Slim Sixties suiting, sleekly tailored gowns in iridescent jacquards, flatteringly fluid silk shirt dresses with raglan sleeves, chic capes and chrome embossed biker jackets. 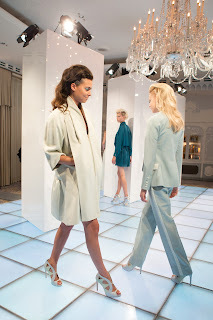 The use of textiles is exemplary, from shimmering two-tone metallics to printed silk jersey, double georgette, chiffon and cashmere, in icy blues, petrol, neutrals and nudes. 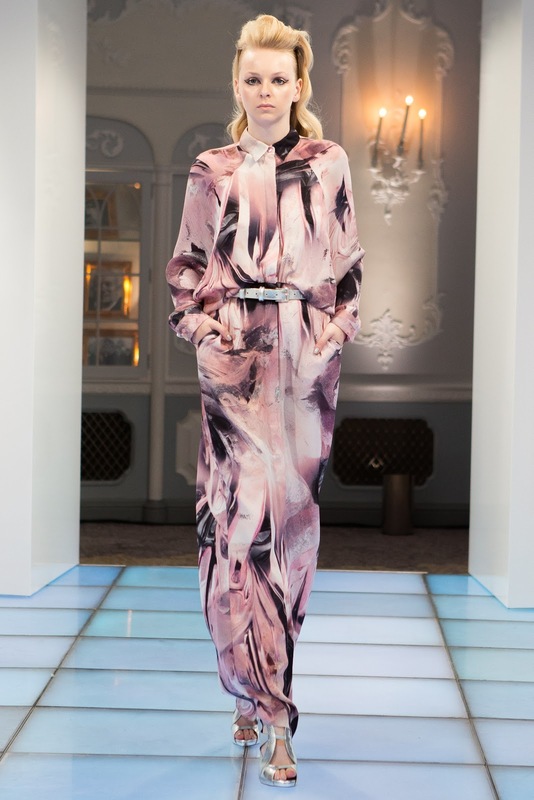 Like Fyodor Golan, Catherine Teatum and Rob Jones have come a long way in very little time, and it’s hard to believe that this is only their fifth collection. Stocked in Liberty and Rous Iland on Dover Street, it’s about time the rest of the fashion world sat up and took notice of this talented design duo. Review written by Lee Clatworthy (@TeamChutzpah) for Katie Chutzpah blog.